5 years after PopUp House’s first steps, where are we now? 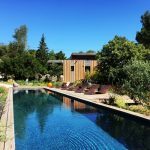 Located in Aix-en-Provence in the south of France, PopUp House knows no frontier for its projects! With more than 360 projects in France and Europe, we surrounded ourselves with local players in every region to try and answer all the requests. 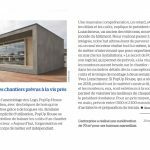 Demand for PopUp Houses is the highest in PACA, Auvergne-Rhône-Alpes and Languedoc-Roussillon Midi-Pyrénées with more than 50 project in each region. Would you have thought that our passive houses were as efficient under the Provence climate as under the Alps snow? 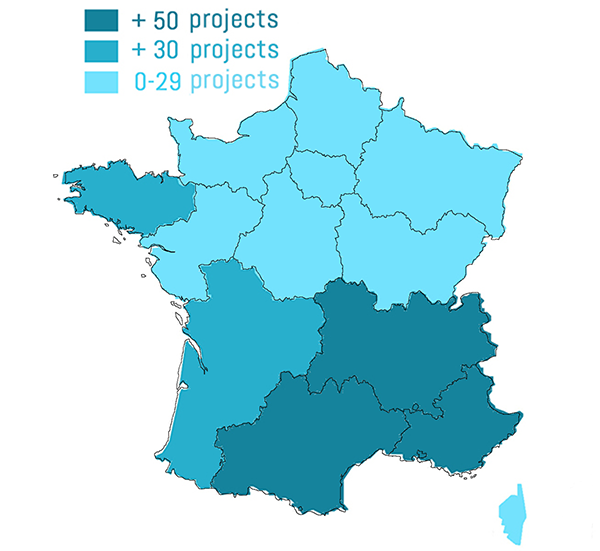 PopUp House is well desired in Nouvelle Aquitaine and Brittany as well, with more than 30 projects in each region. The other parts of France are not left out as there are 82 houses spread everywhere!